Coming up at the Hexagon Theatre on the UKZN Pietermaritzburg campus is a busy programme which includes a Poetry Slam, The Acoustiq Assassins Ep Launch and a run of Have You Seen Zandile?. 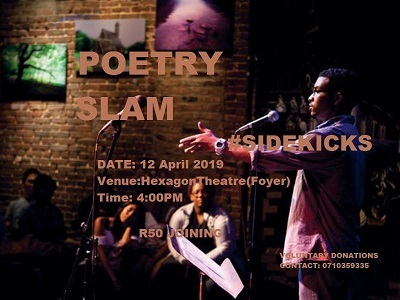 The Poetry Slam takes place in the Hexagon Foyer from 16h00 to 18h00 on April 12, 2019. A student initiative, anyone can enter and compete in the poetry slam. Entrants are required to pay R50 to compete to win the cash prize. Audience entrance is free, although donations are encouraged. No booking required. 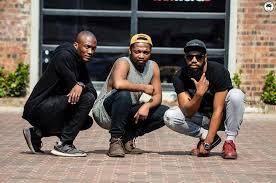 The Acoustiq Assassins Ep Launch takes place in the Hexagon Dive on April 13, 2019, at 18h30 for 19h30. The trio celebrate their five year musical journey! Have You Seen Zandile? takes place in the Hexagon Theatre from April 25 to 27, 2019. 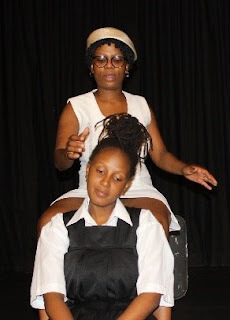 Sanelisiwe Gumede and Nompilo Jili star in Gcina Mhlope’s award winning play about a young girl being raised by her grandmother in Durban before her biological mother snatches her and takes her back to the Transkei. A South African classic, Zandile offers a glimpse of life under white dominance, rural hardship and black female oppression in the 1960’s.